NITI Aayog on June 13, 2018 announced to launch the Composite Water Management Index with an aim to achieve the objective of ‘Sabka Saath, Sabka Vikas’. The Composite Water Management Index will be a useful tool to assess and improve the performance in efficient management of water resources. This index is an attempt to inspire States and UTs towards efficient and optimal utilisation of water and recycling, with a sense of urgency. The draft personal data protection Bill 2018, submitted by the Justice B.N. Srikrishna-headed expert panel, proposed that critical personal data of Indian citizens be processed in centres located within the country. 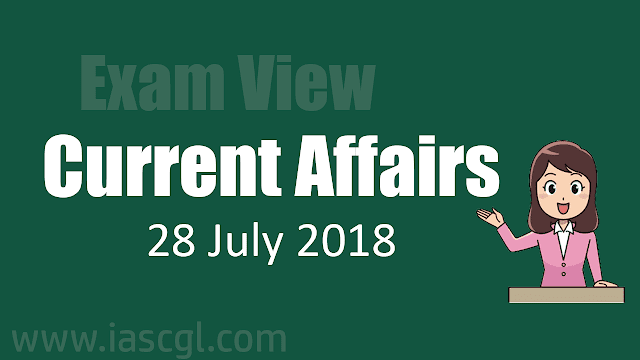 The draft law, which comes after a year-long consultation process, however, has left it to the Central government to notify categories of personal data that will be considered as critical. 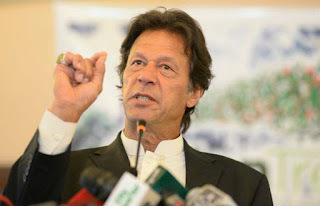 Pakistan’s cricket star-turned politician Imran Khan declared victory on Thursday for his party, the Pakistan Tehreek-e-Insaf party (PTI), in the country’s general election held on Wednesday. Mr Khan promised a “new” Pakistan following a vote that was however, marred by allegations of fraud and militant violence. Pakistan’s Election Commission has not yet released the official final results, but Mr. Khan has maintained a commanding lead, according to projections by many television stations. It is not clear whether the PTI would get a majority or be forced to form a coalition government. Mr. Khan’s PTI would get as many as 119 of the 270 National Assembly seats that were contested. Former Prime Minister Nawaz Shari’s Pakistan Muslim League-Nawaz is projected to win 61 seats, while the Pakistan People’s Party, led by Bilawal Bhutto, could get 40 seats. The remainder in the 342-seat Lower House includes reserved seats for women and minorities. United States and India are working together hand in glove diplomatically and militarily to build dimensions of one of America's most critical bilateral relationships ahead of the 22 dialogue. 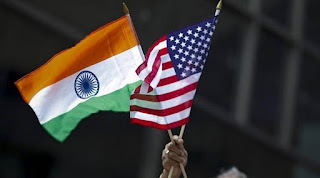 A senior State Department official told lawmakers during a Congressional hearing that substantial progress will be made in the bilateral relationship during the dialogue to be held in New Delhi in September. The dialogue, a vehicle to elevate the strategic ties between the two countries, was announced last year during Prime Minister Narendra Modi's meeting with President Donald Trump. It has been rescheduled at least twice since then. Commerce and Industry Minister Suresh Prabhu has said, government is considering formulation of a Retail Policy for balanced growth of trade in the country. Addressing a national conclave of traders in New Delhi yesterday, Mr Prabhu said, he has written to the Consumer Affairs Ministry in this regard. He said, the government will protect the interests of small retail traders while allowing FDI in retail sector. The Minister said, the size of India's economy will double in next eight years and touch 10 trillion dollars by 2035. He said, if the size of the economy expands, trade and business is bound to benefit. Mr Prabhu reiterated that the government is committed to see that every district in the country grows at the rate of three percent annually and contributes to overall development of the country. In the Women's Hockey World Cup, India suffered a 0-1 loss to Ireland in their second Pool B match at the Lee Valley Hockey Center in London. With a comfortable win against India and a total of two victories in the group stage, Ireland secured their quarter-final berth in the tournament. Anna O'Flanagan was the lone goal scorer in the match. India will next play USA on July 29, are placed third in the table and have a minor chance for qualifying for the quarter-finals. 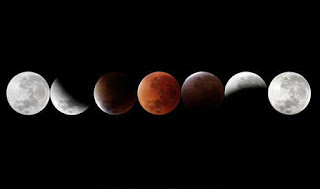 A total lunar eclipse takes place when the Earth comes between the Sun and the Moon, and covers the Moon with its shadow. When this happens, the Moon turns red or ruddy brown, which is why the phenomenon has earned the nickname, 'blood moon'. In yet another celestial occurrence, Mars will be at its closest point to Earth since 2003 - visible as a bright red star where skies are clear. WHO has listed viral hepatitis as a major public health problem throughout the world and particularly in India. Hepatitis A virus and hepatitis E virus are responsible for sporadic infections and the epidemics of acute viral hepatitis. Hepatitis B virus and hepatitis C virus predominantly spread through the parental route and are notorious for causing chronic hepatitis. Hepatitis C is caused by a blood-borne virus, which affects the liver, it could spread through the use of injectable drugs, unsafe injection practices and transfusion of unscreened blood. However unlike hepatitis B, it is not sexually transmitted and there is no known vaccine for hepatitis C.